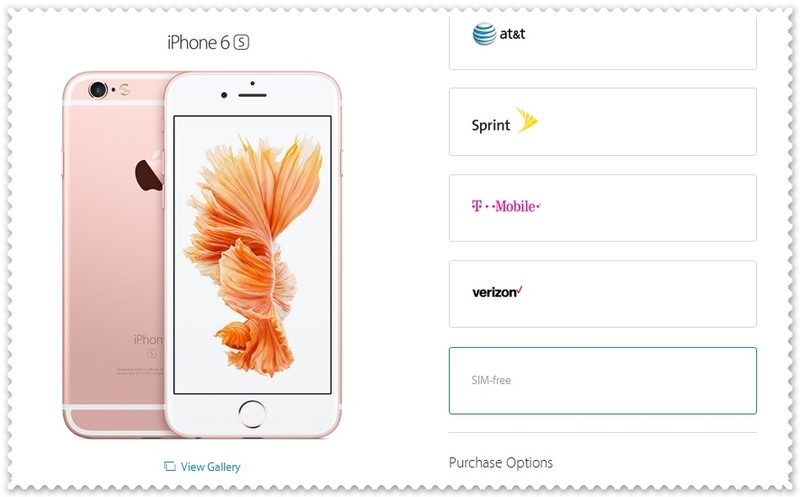 Apple Online Store in USA are now selling iPhone 6S Plus and iPhone 6S SIM-Free version alongside carriers variants. Alright, after heavy rush and strong sales of iPhone 6S, we are reached time where iPhone 6S sales are now going stable, yet the device is selling strongly. Until now iPhone 6S was available with carrier contract in United States with choice from AT&T, T-Mobile, Sprint and Verizon offering it. For any one looking to buy an unlocked iPhone with no carrier attached, its the time you head to Apple online store and order one for yourself. The iPhone 6S SIM-Free is ideal for those who doesn’t want to have go with any contract commitments and ideally suitable for those who travels frequently. The SIM iPhone 6S is with model number A1633 while the iPhone 6S Plus is with model number A1634. Definitely a great move by Apple to offer multiple choice for people first up.